What's the difference between chewing and spit (or snuff) tobacco? Chewing tobacco ("chaw") is usually sold as leaf tobacco, and users place a large wad of it inside their cheek. Users, who tend to be older men, keep chewing tobacco in their mouths for several hours (the tell-tale bulge often gives them away). Snuff, which is much more common today, is a powdered tobacco that's usually sold in cans. Users place a pinch of the tobacco between the lower lip and the gum, usually under the canine teeth. Oral cancer. This disease, which affects the mouth, tongue, cheek, gums and lips, is one of the most deadly forms of cancer. The five-year survival rate is only 59 percent. Other cancers. Carcinogens in the tobacco also increase a user's risk for cancers of the pharynx, larynx, and esophagus. Breast cancer and cardiovascular disease have been linked to chewing tobacco. Nicotine dependence. Nicotine levels in smokeless tobacco are even higher than cigarette tobacco. Nicotine addition can lead to an artificially increased heart rate and blood pressure. Tooth abrasion. Grit and sand found in smokeless tobacco products scratch teeth and wear away the enamel. Gum recession. Constant irritation to the spot in the mouth where a small wad of chewing tobacco is placed can cause the gums to pull away from the teeth, exposing root surfaces and leaving teeth sensitive to heat and cold. Tooth discoloration and bad breath. People who stop using snuff may notice a marked change in the latter. Unhealthy eating habits. Chewing tobacco lessens a person's sense of taste and ability to smell. As a result, users tend to eat more salty and sweet foods. But isn't smokeless tobacco better for you than cigarettes? Not really. While smokeless tobacco users run a lower risk of lung cancer than smokers do, they run a much higher risk of oral cancer. What are the first symptoms of oral cancer? The most common preliminary symptom is a condition called leukoplakia. These are mouth sores that appear either as a smooth, white patch or as leathery-looking wrinkled skin, usually in the spot(s) where the tobacco is placed. If untreated, these sores can result in cancer. If you use smokeless tobacco, have your doctor or dentist check you right away. Early detection is crucial. While oral cancer has one of the lowest five-year survival rates of all major cancers (only 59 percent of oral cancer patients live more than five years after being diagnosed), this is probably because most lesions are not discovered until they are well advanced. When detected early, the probability of surviving from oral cancer is significantly better. Also, quitting now will reduce your chance of developing cancer. This point may seem obvious, says Amanda Gruber, M.D. of the Harvard-affiliated McLean hospital, but some teenagers who've chewed for years falsely assume it's already too late. Treatment for oral cancer depends on a number of factors, including the location, size, type, and extent of the tumor, as well as the stage of the disease. Treatment can include surgery (to remove parts of the mouth, jaw, and, if the cancer has spread, the lymph nodes in the neck), radiation therapy, or a combination of the two. Some patients also receive chemotherapy. The best thing to do, of course, is quit. People who stop using tobacco -- even after many years of use -- can greatly reduce their risk of oral cancer. According to the New York University College of Dentistry, survival rates can reach as high as 81 percent with early detection, compared to a survival rate of 17 percent or less if the cancer is detected late. If quitting isn't a possibility, at least make sure your doctor and/or dentist examine you regularly for leukoplakia, the precancerous sores. Remember, if oral cancer is detectedearly, it can often be treated successfully. smokeless tobacco alternatives, TeaZa is preferred for its long lasting flavor, superior nutrition profile and proven results. For more information, download the free eBook, the TeleWellnessMD Supplement Guide. 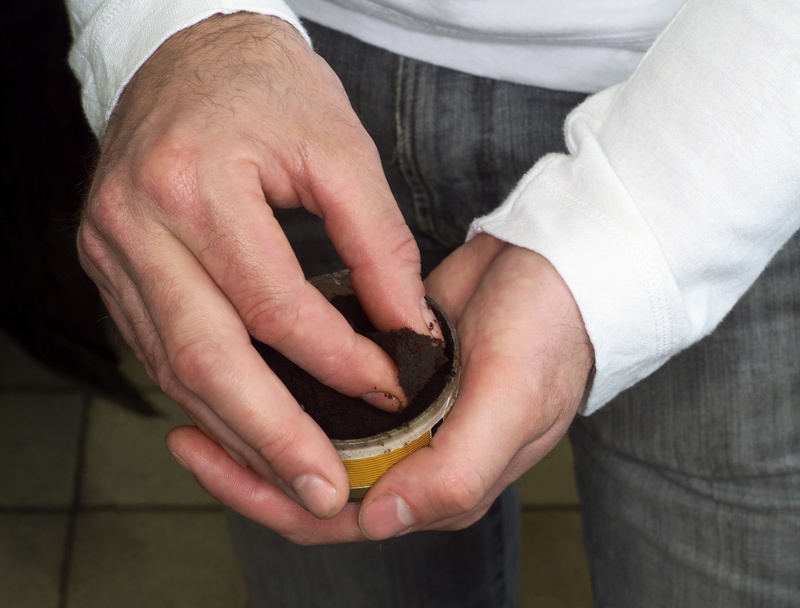 Smokeless Tobacco: Tips on How to Stop. American Family Physician, Oral Cancer Facts and Figures, New York University College of Dentistry, April 1999. Oral Cancer. American Dental Hygienists' Association. American Cancer Society. Oral Cancer. June 4, 2008. Cancer Health Library Copyright ©2017 LimeHealth. All Rights Reserved. This content is licensed by HealthDay News, a leading producer and syndicator of evidence-based health content for consumers and physicians and is the largest syndicator of health news to internet sites. HealthDay's daily consumer health news is created by more than 30 reporters and editors specializing in health and medical news reporting and reflects the highest standards in American journalism.